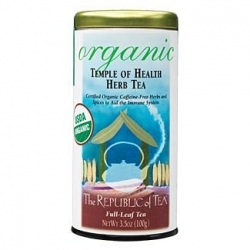 Certified Organic Caffeine-Free Herbs and Spices. Stimulating spices of ginger and cinnamon are balanced with the soft sweetness of licorice. Accents of lemon and lemon grass complement the caramel flavor notes of Echinacea, which bring their reputations for healthful properties to this blend.